The Federal Government yesterday maintained that its revocation of the contract between it and the Bi-Courtney Consortium for the reconstruction, maintenance and management of the Lagos-Ibadan expressway is in order and in accordance with their agreement. The FG stance was articulated by the minister of works, Mike Onolememen, who stated this said the government had observed several breaches by the construction consortium and repeatedly drew Bi-Courtney’s attention to remedy the situation to no avail. “That concession was governed by law, the agreement is the governing instrument for that concession. And the obligations of the parties were well spelt out in that agreement and at every point in time, every party was in the know as to what it was doing, either in conformity with the obligation in the agreement or in breach of those obligations. “As a party, the government at a time had to address a letter to Bi-Courtney detailing the serial breaches it had committed on that particular concession and inviting the company to remedy those breaches given the days of grace as provided for in the agreement, failing which government did not have to invite them again to another meeting to terminate it. The FG recently re-awarded the contract to two construction companies, Julius Berger and RCC Limited. 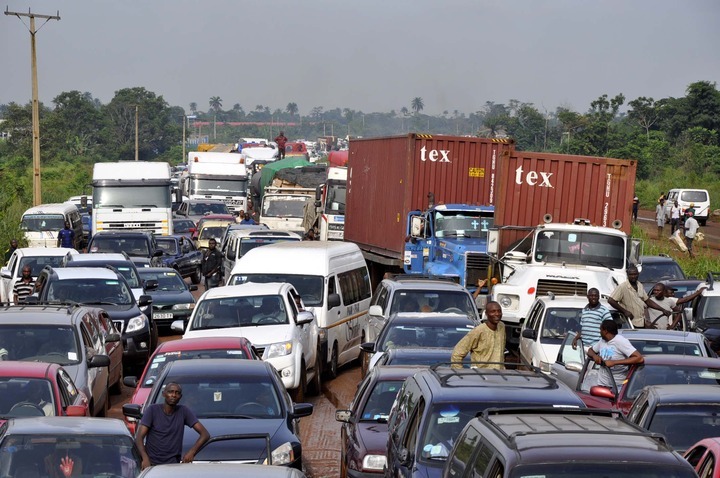 While reacting to doubts expressed by observers over the capability of RCC to execute a project such as reconstruction of the ever busy Lagos-Ibadan expressway, the minister reportedly defended the FG’s decision saying, “RCC is one of the contractors in the category that we are comfortable with. It is RCC that did most of the very important roads in this country that have continued to provide easy movement for people. “As we speak they are engaged on the Benin-Ore-Sagamu dualisation and they are doing very well there. They are also on the Abuja-Lokoja dualisation project on Section II and they are in various parts of the country even in the Niger Delta.